Hey, so, how 'bout them Grammys last night? While I was absolutely convinced that Paul McCartney and Ringo Starr's on-stage duet of McCartney's new single "Queenie Eye" would be the one thing to steal the show (and, let's be real, it was totally amazing), turns out, there was something else capable of consuming my attention all night: Pharrell's gigantic hat. Seriously, look at that thing. 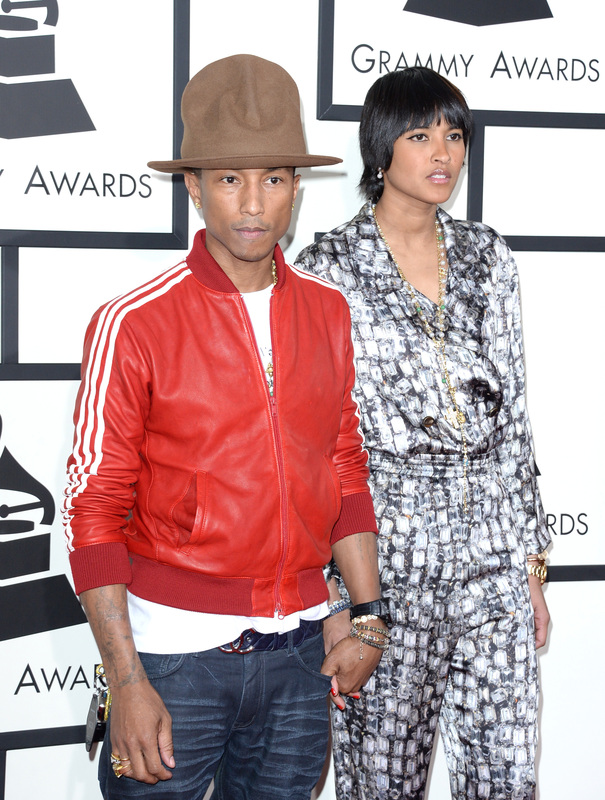 Does Pharrell have a tiny head, or just a very large hat? Is he, perhaps, smuggling his own food and drinks into the Grammys like when I bring extra large purses to the movies so I don't have to pay like six dollars for a bottle of water at the theater? Unfortunately, no — though that would be hilarious. No, According to MTV, Pharrell's inspiration for the giant hat came from the 1982 video for "Buffalo Girls," from Malcolm McLaren and the The World's Famous Supreme Team. So, that's it. Mystery solved. Now, classic hip-hop reference aside — as cool of a throwback as it is — are we all in agreement that this hat looked strange? The thing already has it's own Twitter account, meaning the Internet has dubbed it ridiculous, and so it is. If you're interested, check out the original "Buffalo Girls" video to see Pharrell's inspiration in full.